Our Wooden Covered Bridge is 6" long. 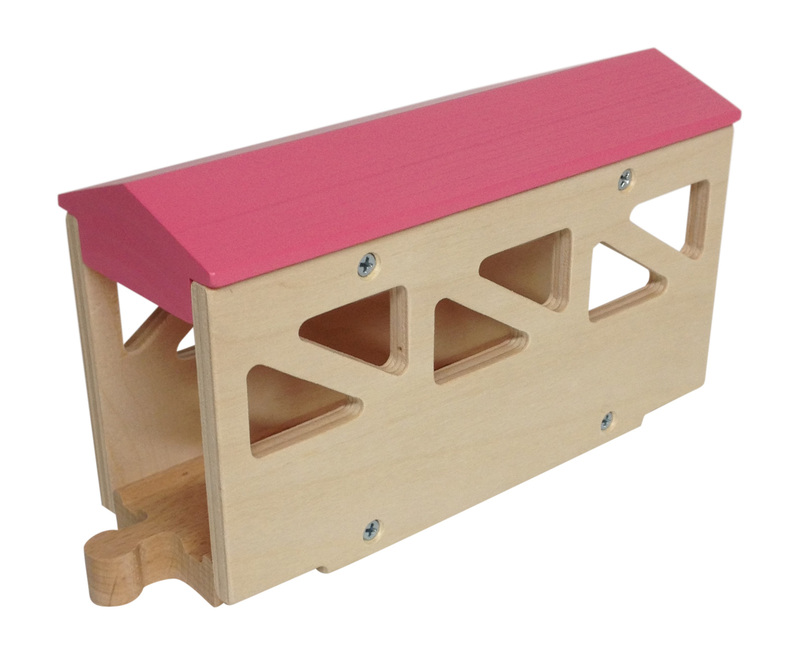 It can be used with ascending wooden track and support blocks OR flat on the floor! A nice addition to expand your wooden track layout. The quality of our wooden train accessories are unmatched. Realistic in design, parent and child friendly. All wood, no plastic parts. Our products are compatible with Thomas, Brio and many other wooden track systems. Painted with safe non-toxic materials.